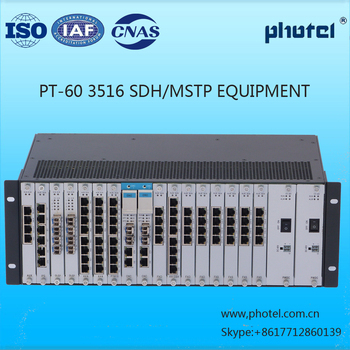 PT-60 MSTP support PCM IPPBX SDH PDH MUX is a new generation intelligent MSTP, it offers a complete solution for traditional ADM services, broadband data service access, aggregation, transmission. 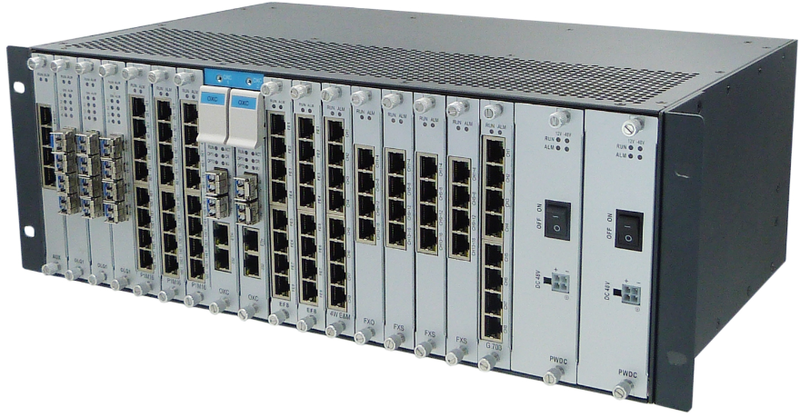 PT-60 3516 is STM-1/4/16 MSTP equipment, it has powerful functions, abundant interfaces, high service capacity, and flexible networking ability, it can flexibly distribute network bandwidth, it can be suitable for service aggregation center node in the transmission network. 4 channel external input clock, 4 channel output. We have been the professional manufactuer of SDH, PCM ,PDH,PBX ,IP PBX,PCM RADIO etc.communication equipment for more than 20 years. 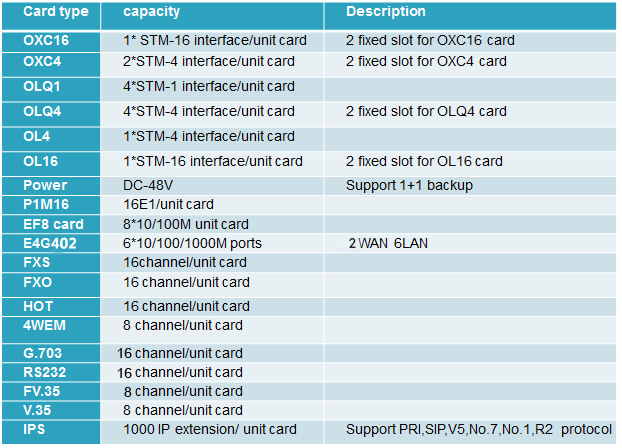 PHOTEL is a famous professional provider of communication access equipment and network solutions. PHOTEL is dedicated to the development of core communication technologies, perfect network equipment and solutions. 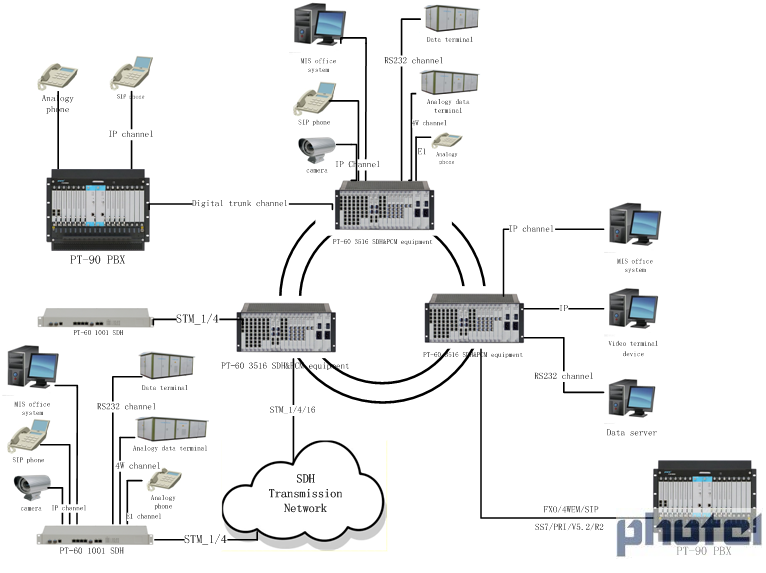 PHOTEL equipment covers SDH, PDH optical terminal, PBX/IPPBX, PCM multiplexers and other communication equipment, they have been widely used in different public network and special network, their high quality and reliability creates big value for the customers. PHOTEL has set up its own research and development institute and producing factory in Nanjing, China. The company has built a complete human resources management system for recruitment, training, appointment and employee motivation. PHOTEL has achieved great market share at home, and gained domestic customers'trust and support. Nowadays PHOTEL focuses on international market, with its independent and creative R&D capability and customer-oriented and market-driven strategy, PHOTEL wins more and more international customers' trust and praise, now PHOTEL growth is also coming from the international market. 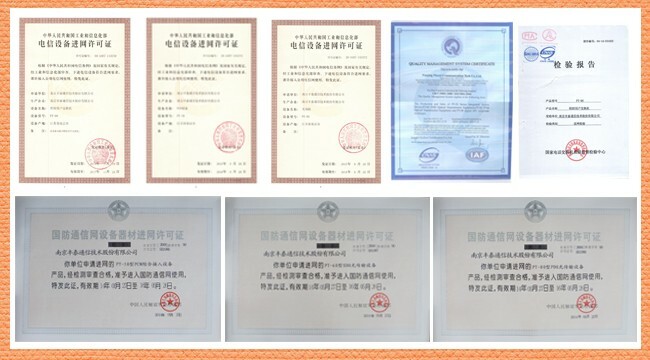 1.We provide OEM and ODM service. 4. Photel products enjoy high quality and competitive price! 2.More than 20 years Professional Experience. 3.Best Quality&Best Service with Competitive price. 4.All products have been checked and packed in good condition before dispatch. 5.We answer all your enquires in 8 hours or less guaranted.